Video game developers are constantly having to deflect questions about sequels to critically-acclaimed and popular titles. Think Half Life 2, Portal 2, and other none-Valve produced games and you’ll get the idea. For Nintendo, its fanbase has clamoured for a follow up to one N64 game more than any other in the 20 years since its release: Pokemon Snap. Pokemon Snap celebrates the 20th anniversary of its initial Japanese release on March 21, but we’re no closer to getting that oft-requested follow up. On Nintendo’s and HAL Laboratory’s part, it isn’t for a lack of wanting. The game’s publisher and developer have regularly stated that they wouldn’t be against making Pokemon Snap 2. According to The Pokemon Company’s president Junichi Masuda, however, there would need to be “new inventions” and “fresh ideas” to encourage the pair to produce a follow up. Two decades is a long time in the games industry though. Technological advancements and groundbreaking titles have given developers, none more so than Nintendo, new ways to make and play games. It’s these innovations that *whisper it quietly* could hold the keys to a potential Pokemon Snap sequel. Much of Pokemon Snap’s charm lay in its picture taking gameplay mechanic. Playing as a Pokemon photographer called – ahem – Todd Snap, you were tasked with capturing the most unique and humorous pictures of Pokemon across seven levels. Traversing each region in an on-rails machine called the Zero One, players simply used their N64 controller to lure Pokemon into a variety of poses, photograph them, and send their snaps back to Professor Oak to be rated. A simplistic approach, yes, but one that was governed by the technology of the late 1990s. Since then, the introduction of virtual reality has brought true gaming immersion into our homes, and enabled us to feel even more involved in the games we play. Nintendo Labo, the company’s inventive approach to gaming and VR, would work perfectly within any Pokemon Sap sequel. Its recently revealed Nintendo Labo VR kit – due for release on April 12 – provides the ideal platform to fully immerse yourself in Pokemon Snap 2’s potential world. The VR goggles accessory would enable you to have a full 360 degree view of any level and watch in awe as Pokemon move around, above, and even below you in real time. The Nintendo Labo VR Camera Toy-Con could give an even better way of playing. What better feeling could you get from actually taking pictures of Pokemon, using the Labo Camera Kit, rather than simply pressing a button on a controller? Our thoughts exactly. Creating full 360-degree maps would give Nintendo the license to hide all manner of photo opportunities throughout its levels, and give Pokemon Snap 2 a replayability factor to rival other titles. The Joy-Cons and Switch’s built-in gyroscopes, and motion controlled aiming, would help you capture those perfect moments as well. Like they do in The Legend of Zelda: Breath of the Wild, and Pokemon Let’s Go Pikachu and Eevee. These fast and precise adjustments allow you to aim much more accurately. For a game like Pokemon Snap 2, framing, distance, and other factors could come into play to help you improve your photograph scores. If you really want to go one step further, the Labo Vehicle Kit could even offer a new way of cruising around potential maps or regions. Pokemon Snap’s limited functionality meant that you were resigned to plodding along on the Zero One’s monorail track. Using the Vehicle Kit would give you the freedom to drive around, and position yourself to get the best photographs possible. If Pokemon Snap 2 implemented its predecessor’s picture rating system, you could even get unique photographs at all kinds of angles and heights for more points for your troubles. A new Pokemon Snap title would need a more expansive world hub though, but for inspiration Nintendo need not look any further than its own first-party titles for inspiration. Breath of the Wild proved that Nintendo has the capability to make sprawling, expansive worlds. Players could be placed within the centre of a world hub and, depending on which direction they chose to go, each section of the map could house a different region based on Pokemon types. If nothing else, it would be a fitting tribute to a similar level design that Pokemon Snap incorporated back in 1999. Want more Pokemon, right now? If a Breath of the Wild style world hub wasn’t something Nintendo or HAL wished to pursue, looking further back into their gaming catalogue could provide other options. Mario 64’s hub, with its paintings that teleport you to different levels, could work just as well and be in keeping with the photography aspect of Pokemon Snap’s gameplay. And what of the Pokemon franchise’s own impact on a Pokemon Snap sequel? With more than 800 critters, 18 types, and seven regions spanning seven generations, there’s no end to the Pokemon, regional maps, or items used that Nintendo and HAL could include. This number will only grow with Pokemon Switch – recently revealed to be titled Sword and Shield – ahead of their release later in 2019. More content would mean more bang for your buck for players, and the likelier chance of gamers sticking with Pokemon Snap 2 for weeks or months to uncover every secret, snap every Pokemon, and attain 100% completion. We can’t discuss a Pokemon Snap sequel without mentioning Pokemon Go either. Niantic’s augmented reality game has changed how we play Pokemon titles, so much so that Pokemon Let’s Go – the Switch’s first Pokemon games – incorporated its Pokeball throwing and catching mechanic. Pokemon Go’s recently introduced Snapshot mode, where players can position their caught Pokemon in different real world locations and take pictures of them, has gone down well with the community too. 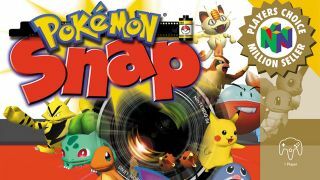 Nintendo and HAL could work alongside Niantic to add these features into Pokemon Snap 2, and help to bring Pokemon Snap and Go fans together with one single game. Pokemon Snap’s release 20 years ago ushered in big changes for Nintendo. Its rendering of many Pokemon in 3D for the first time, coupled with its unique appeal of capturing pictures and not Pokemon themselves, helped it to stand it out against its peers. Nintendo Labo, the Switch console, and its first-party franchises have proved that it now have the capability to develop a Pokemon Snap sequel. Coupled with the nostalgic appeal of Nintendo games among its fanbase, there’s never been a better time to revisit this possibility. Maybe, just maybe, our Pokemon Snap sequel dreams will become reality in the not-too-distant future. Until we actually get Pokemon Snap 2, why not read more about Labo VR: Can Labo VR hit the sweet spot between Google Cardboard and Oculus VR?